We've been looking for a new house for quite some time. I would say casually looking for a few years. We'd see a house here and there. We'd take a look, but nothing panned out. In March we went and looked at a "fixer upper". 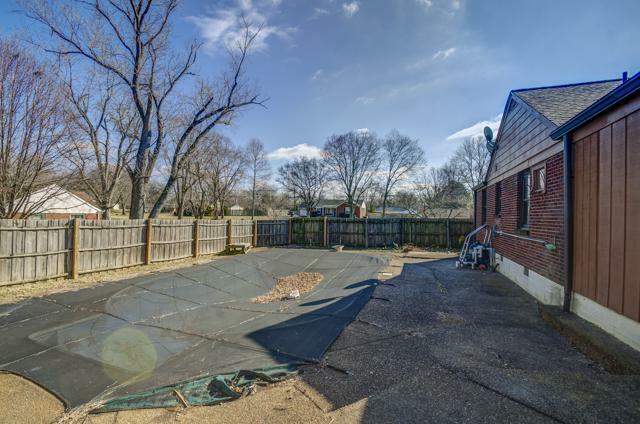 It was definitely a fixer, but we decided to put in an offer because we could see how much potential it had. Is it our forever house? I'm not sure. I don't know that we'd call it our "dream house" but we are excited to make it ours and fill it with memories of our beautiful family. 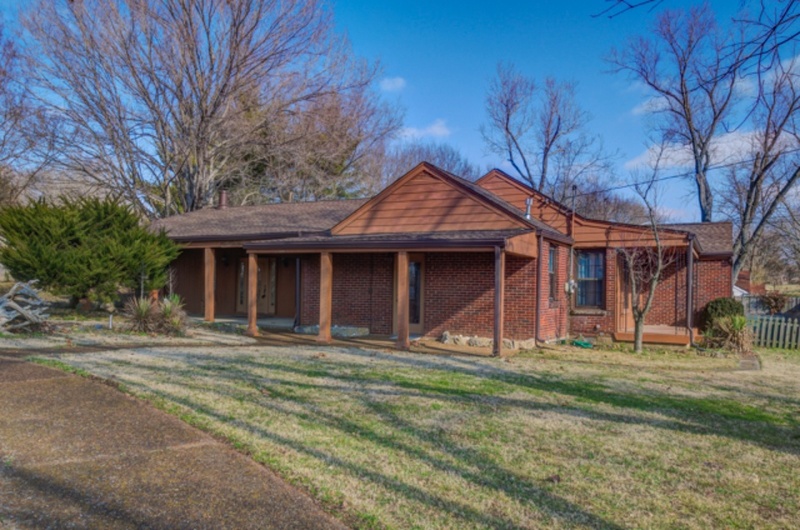 We know it has enough space for our family, plus a home office (we both are able to work from home part of the week) and a dedicated playroom and a guest space. Space wise its everything we need. Keep an open mind and know that we have a full renovation planned. Not everything will happen at one time, but most of the inside will be done in phase 1 and the exterior/outside space in phases 2 & 3. Eeeekkkk....needs a little updating, right? Well...just wait until you see inside. That needs a whole lotta updating. This is what you see when you walk in the front door. Beautiful, right? Welcoming. Inviting. Perfect color choice. And if you turn 180 degrees from this view you'd be looking into this kitchen. The kitchen goes into the existing dining room/laundry room that we will make the playroom. In my post that details what we have planned for each room I'll tell you where our dining area will be. This is the beautiful Master Suite. No, I did not just show you the same picture twice. 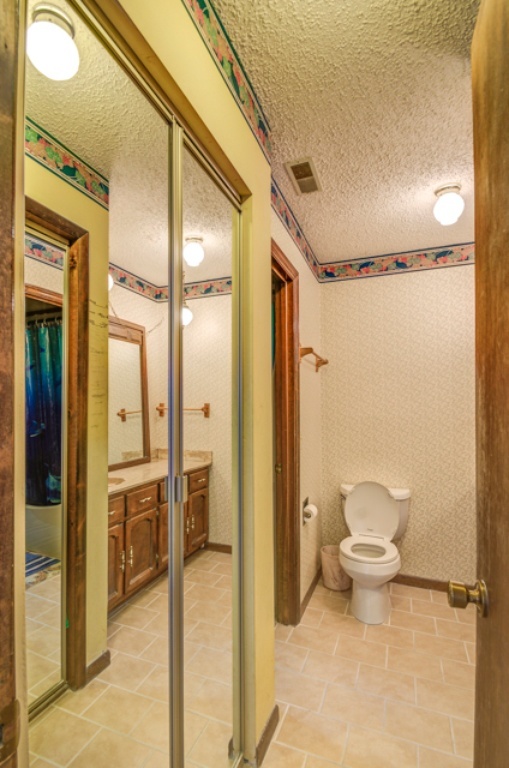 The Master Bath has His and Hers toilets! In between these two toilets is a bathtub and a closet. 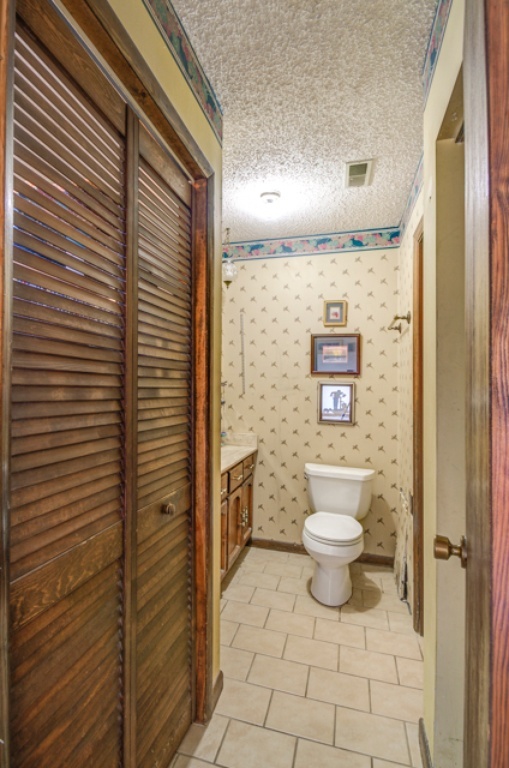 Strangest layout of a bathroom I've ever seen. 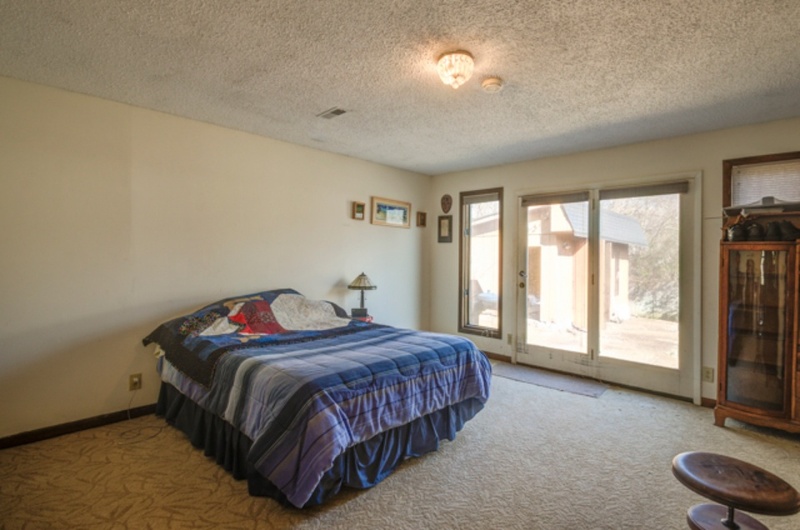 Here is one of the other bedrooms. Actually not that bad. 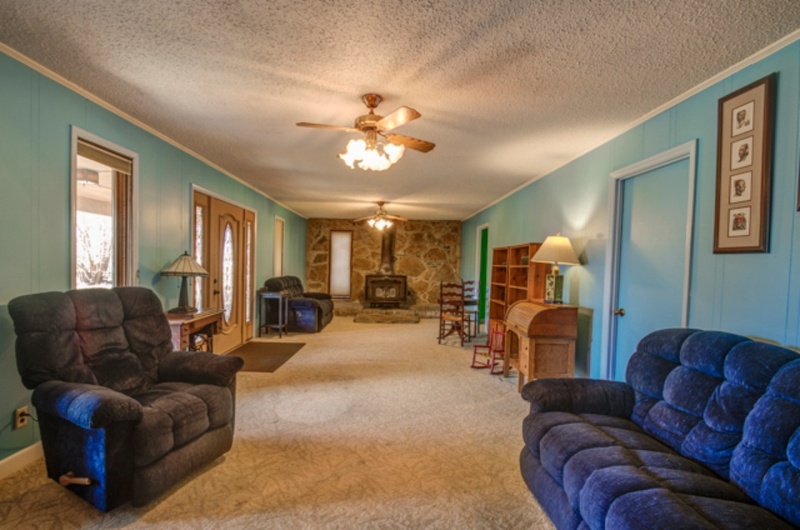 Nothing a little paint and new floors can't fix. This is what we like to call our Pool Shack. Our hole in the ground. So what do you think? Are we crazy? Have you ever taken on a renovation like this? Any tips you'd like to share?